A Boogie Wit Da Hoodie slid into first place with only 670 physical album sales and a total of 57K Units, 21 Savage came in second place with 55K Units, and the Spider-Man: Into The Spider-Verse Soundtrack came in third place with 48K Units. In a quiet week for music, A Boogie Wit Da Hoodie broke the record for lowest physical album sales (670) at No.1 with 57K Units. 21 Savage lost first place. And the Spider-Man: Into The Spider-Verse Soundtrack moved up into a top three spot at third. 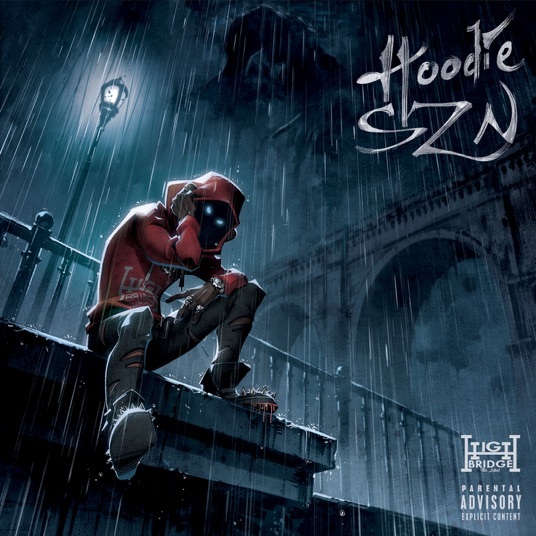 A Boogie Wit Da Hoodie's Hoodie SZN grabbed 1st place with mainly streams at 57K Units. It's 670 physical album sales were the lowest album sales for a first place album on the charts. It beat the last record set by 21 Savage's new album the week before. 21 Savage's I Am > I Was lost first place, now at 2nd place with 55K Units. The Spider-Man: Into The Spider-Verse Soundtrack proved it's popularity moving up the charts since the movies release in December in at 3rd place (48K Units). Meek Mill's Championships (46K Units), Post Malone's Beerbongs & Bentleys (42K Units), Travis Scott's Astroworld (40K Units), Lady Gaga & Bradley Cooper A Star is Born Soundtrack (40K Units), Drake's Scorpion (39K Units), Kodak Black's Dying To Live (38K Units), and Queen's Platinum Collection (37K Units) took the top 10 in that order. The Greatest Showman Soundtrack fell out of the top 10 in at 11th place (34K Units) with Queen's Platinum Collection debuting again on the charts at 10th place after it's popularity surged from the Golden Globes Awards. The A Star is Born Soundtrack fell a few places to 7th place with relatively weak streaming numbers. Next up we'll have releases from Switchfoot, Cody Johnson, Papa Roach, Mike Posner, Maggie Rogers, Future, Guster, and Deerhunter. They'll be coming out once the 2019 album release schedule fires up on Friday, January 18. We're still on the holiday album release break that lasts from around December 21, 2018 to January 18, 2019 where not a lot of new albums come out but it seems all the releases that could have come out are jammed into the end of January. The Backstreet Boys, and Bring Me The Horizon are also due out January 25. Meghan Trainor has been delayed until further notice. See our Super Winter Album Guide 2019 for all the albums coming out this winter.